Finsterbergen is a spa town in the centre of the Thüringer Woods and only 5 kilometers away from the famous Rennsteig. 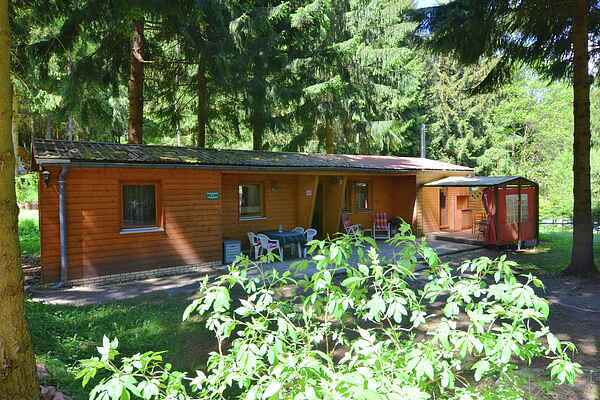 In addition to a number of caravans, these two detached holiday homes, of which you will be the sole occupier, are located on a domain of 9 hectares. The DE-99898-02 (70qm) for six persons has three bedrooms, while the DE-99898-03 (50qm) is ideal for one couple. The houses are clustered around a pond on the edge of the woods and are equipped with a communal sauna, sunbathing area and barbecuing facilities. Furthermore, the houses are only a few meters away from the outdoor swimming pool with playground and wellness centre.